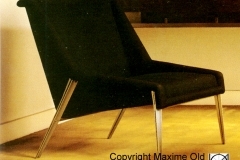 Maxime Old exhibits two prototypes at the 1961 Salon des Artistes Décorateurs with the “Iceberg” coffee table, presented in this other post. Let us focus first on the legs. 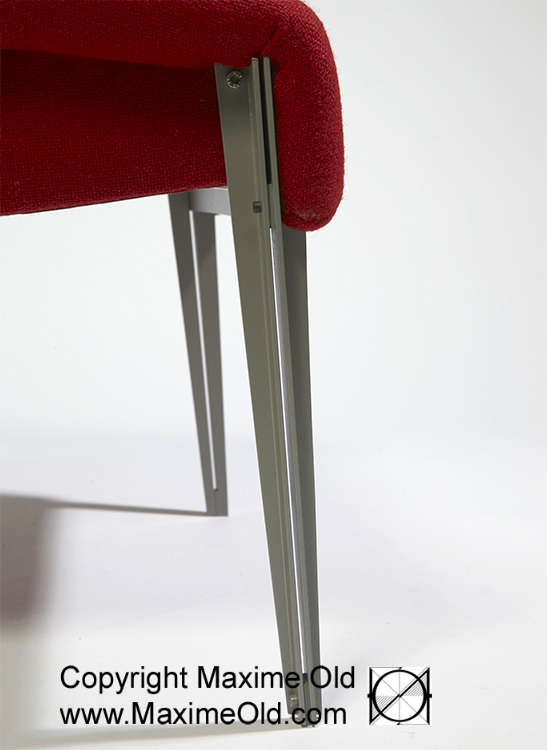 They are made of steel sections, shaped and appended back to back, in ordrer to be elegant and resistant. 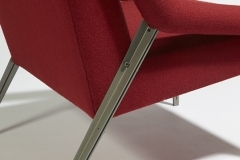 They fit closely to the pad with its elliptical section that is surrounding the armchair. This pad is streamlined in order to form the armrests. The forty “Light” armchairs of the first class main Lounge of the ocean liner France were of this style. Specifications require aluminium for lightness and exclude wood to avoid fire that destroyed several ocean liners, notably the famous Normandie as the France declares to succeed. 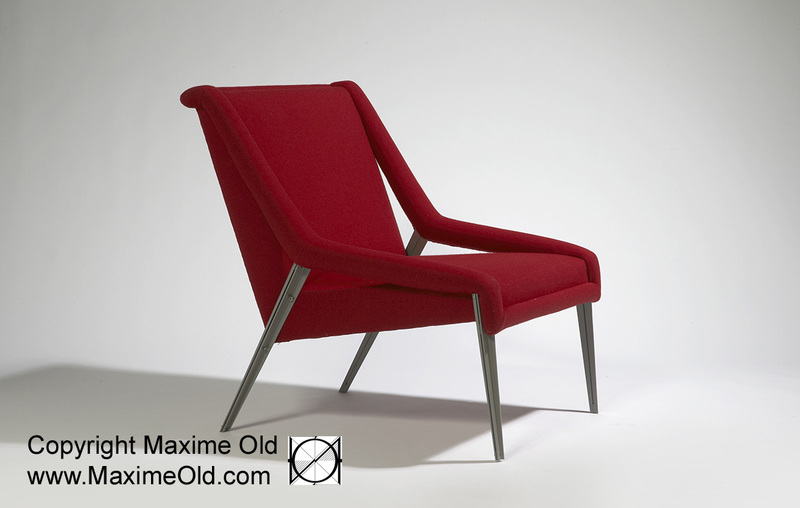 Maxime Old works again on his Paquebot France Light Armchair. 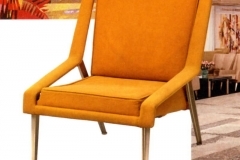 His brilliant idea is then to separate the pad of the armrests from the base, giving an exceptional outline to this armchair. 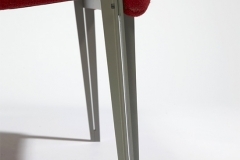 He simplifies its legs so that they can be made in aluminium foundry and positions them directly on the base. The pad section is changed to an almost rectangular shape cheaper to produce. Our contemporary production based on his design take up this challenge. The technical problems faced confirm that this project was utopian for the ocean liner France. 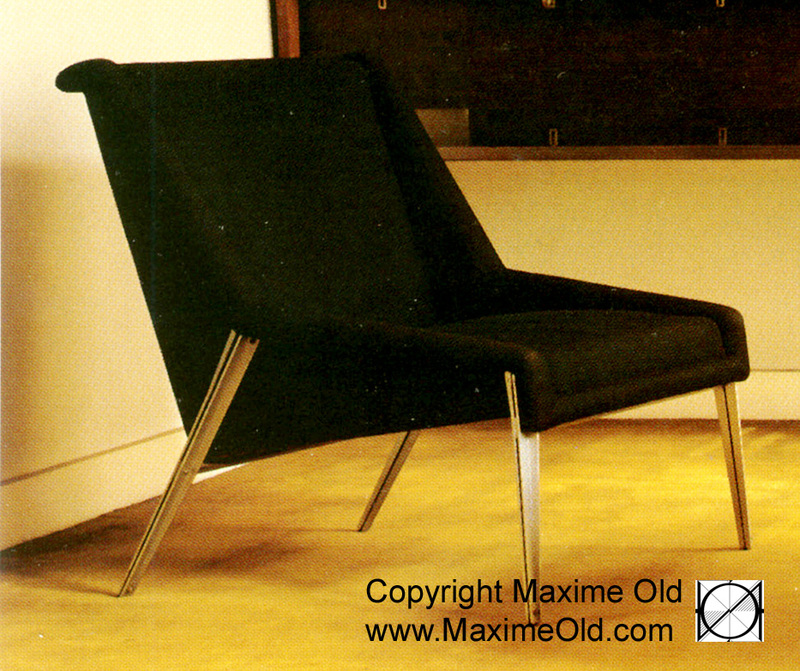 But it is obvious that Maxime’s wish was relevant once the first prototype, an armchair from the ocean liner, is compared with the actual version. 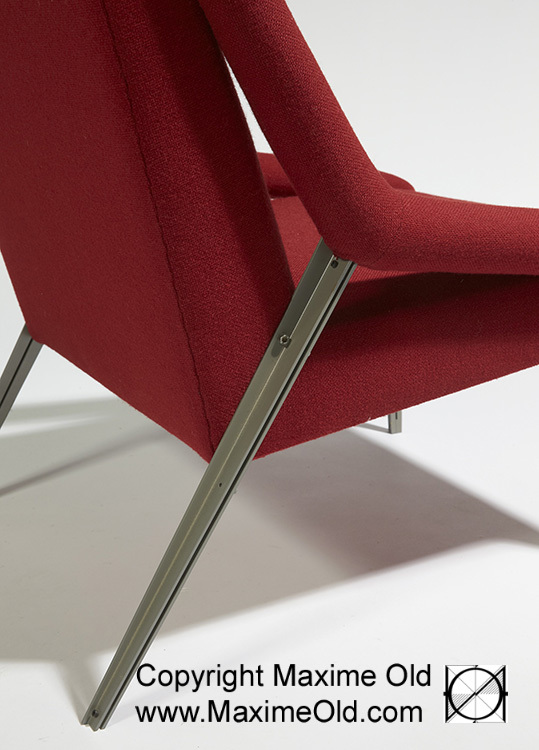 This “Light Armchair” is one of the four inspired by the cruise liner France. The other three are: the “Relaxing Armchair“, the “Bridge Armchair” and the “VIP Deck Armchair“. The present design is one of the Maxime Old most typical. 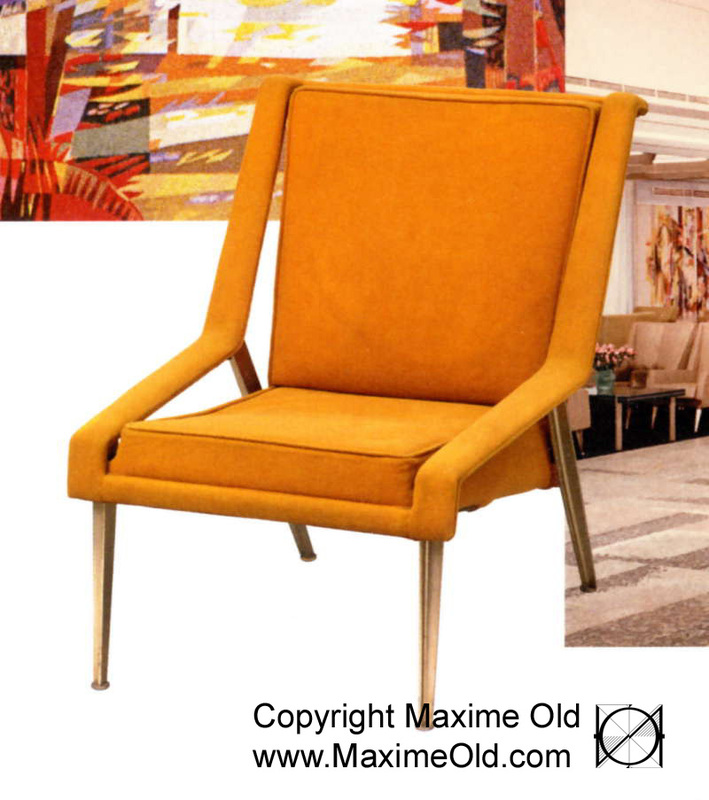 The present cruise liner France Light Armchair is here! Are you looking for other certified present releases of Maxime Old Modern Art Furniture? All about them is here.